Access all of Stardock's software, WinCustomize, forums, chat and more from this one program. Manage your programs and running tasks with style! Control multiple PC's with one keyboard/mouse! Replace or extend your Windows right-click desktop menu. Jazz up your existing Windows desktop icons. Conquer the galaxy in this award winning space based strategy game. Use IconPackager to apply sets of icons to Windows. Use ObjectBar to create your own pop up menus, system hotkeys and bars. Use SkinStudio to make your own skins! Use DesktopX to build your own customized and secure desktop. Assign hot keys system wide to launch programs, browse the web, and paste saved clipboards. A must have. Change your Windows Boot Screen. Drengin.net is a new way of getting PC games into your hands instantly. Gamers can buy games individually or subscribe to the entire library of Drengin.net distributed games at once. Regardless of whether you purchased a Drengin.net game at a store or directly from us, you can re-download the game electronically any time, even years later. Games include Galactic Civilizations, The Corporate Machine, Stellar Frontier, The Political Machine with more coming all the time. Gamers who subscribe to the full library of Drengin.net distributed games get all the games available today plus all the new games and updates added for an additional year after purchase! Drengin.net lets Stardock and other indie game developers combine their strengths to enable them to make games that can thrive via on-line sales and distribution. 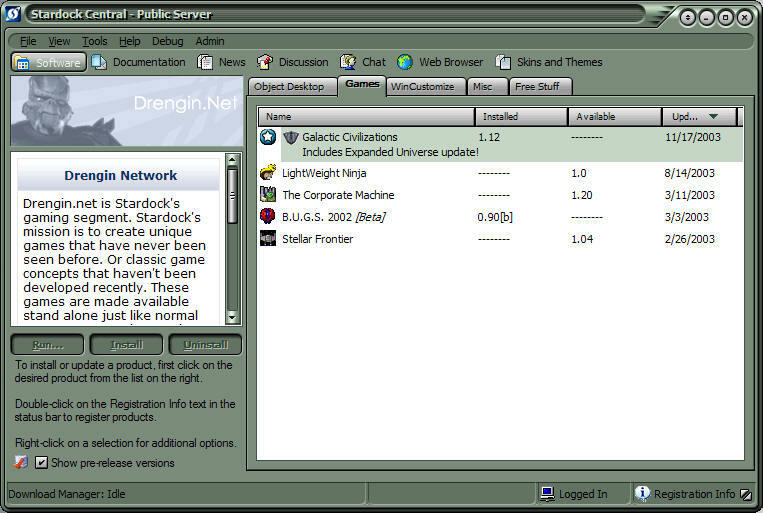 Want your game on Drengin.net or license Stardock Central technology to update your software? Contact us! The award-winning space strategy game is just one of the games that Stardock has one Drengin.net. Lead United Earth in a race for control of a hostile galaxy. New: Galactic Civilizations: Altarian Prophecy coming soon for Drengin.net users! Coming Spring 2004: The Political Machine! Choose or design your own presidential candidate and run for President of the United States. 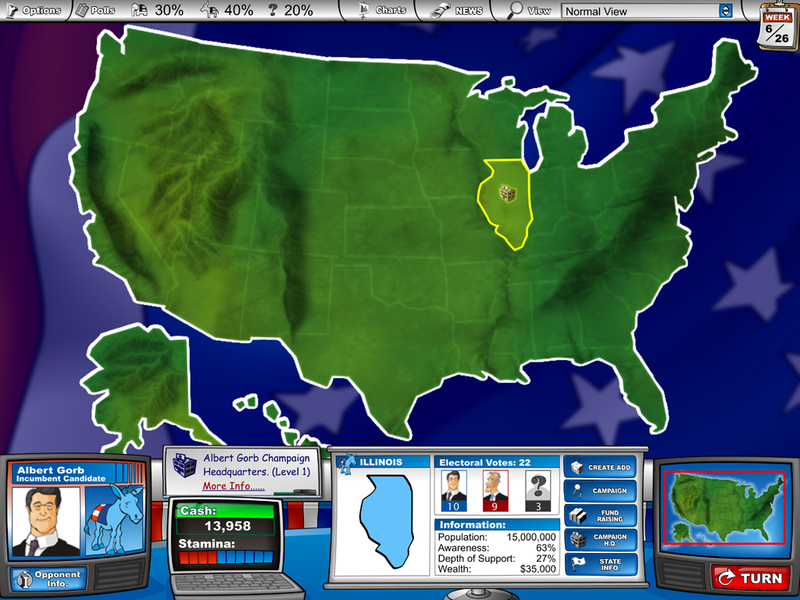 Using demographic information on each state, The Political Machine combines both strategy and simulation to give players a taste of what running for President is like. ©2003 Stardock Corporation, Inc. All rights reserved.